Another nice sunset today triggered the idea to take a timelapse shot. The view is from my balcony, over Tung Chung then Hong Kong International Airport and in the back you can see China. 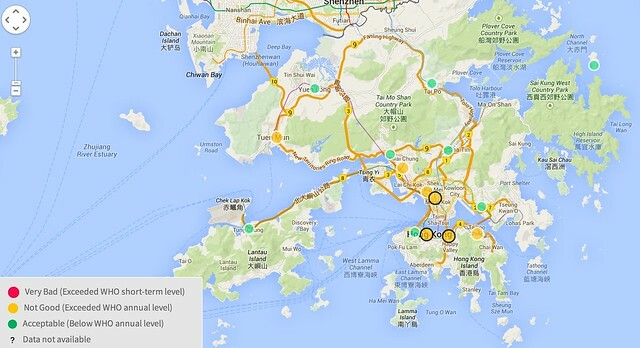 Air pollution levels have been not too bad in the last few weeks. Providing us with lots of blue skies and amazing far away views. Throughout the year the views are blocked either by haze caused by pollution or just water damp. However when it opens up, some spectacular views can be seen. Lots of mountains and other things. Unfortunately Macau can't be seen from our place.